Candelabras 5 arm available in silver or shabby chic white. 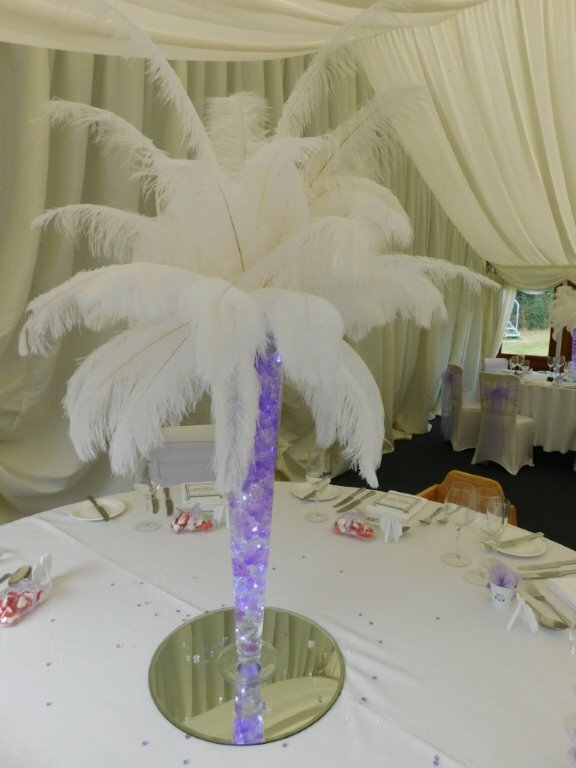 Sweet Trees and centre piece and a favour ! Hurricane Lanterns simple but effective. Cylinder vases with a rose stem filled with water and a floating candle. 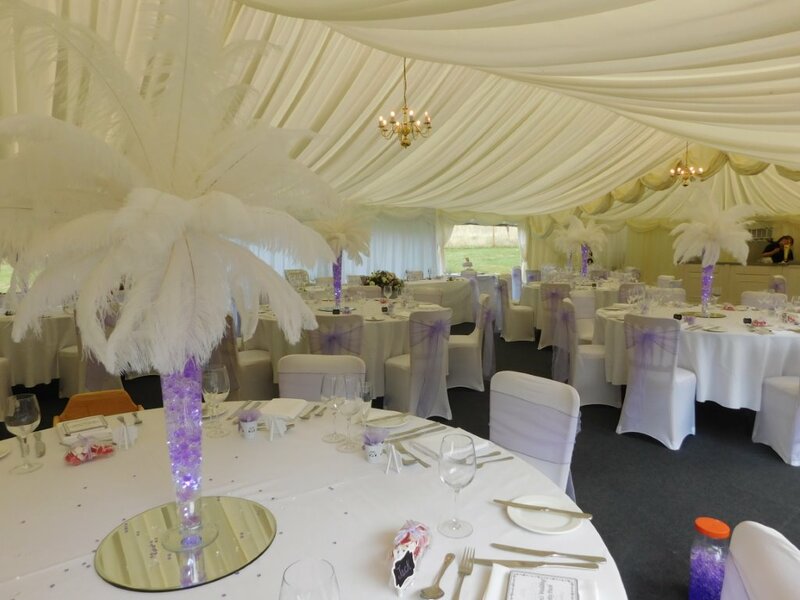 Our centre pieces include mirror plates, crystal scatters and table runner. Whatever you have in your mind we can help turn your dreams into reality.